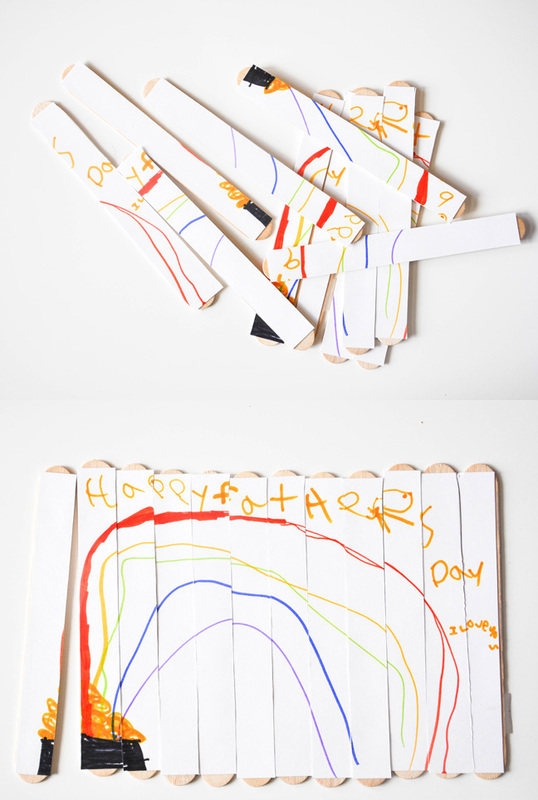 Kids love making them and dads love solving these sweet sentiments from their kids. 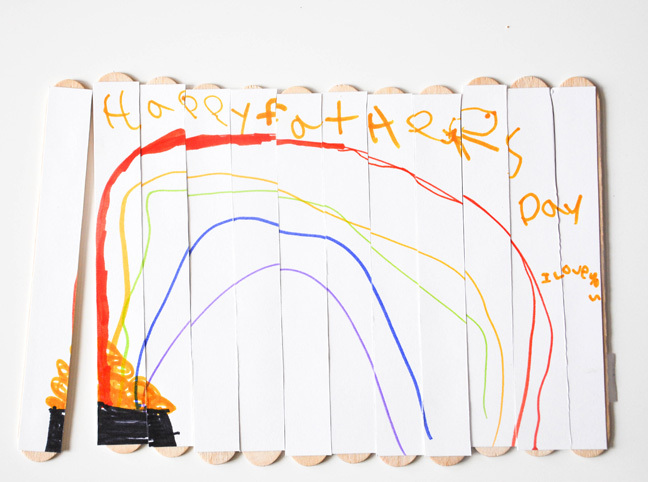 Take a few minutes and let the munchkins create this unique Happy Father’s Day card for him this year. Everyone will be waiting in anticipation as Dad puts the puzzle together and reveals the hand drawn artwork. 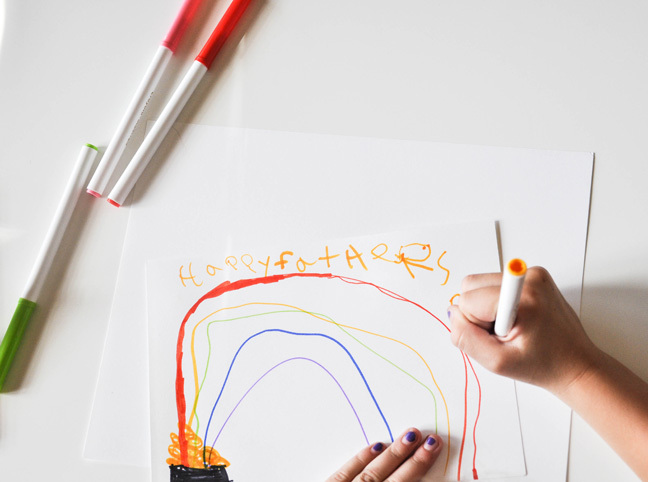 Step 1: Have your little ones draw their picture with the markers on your precut card stock. 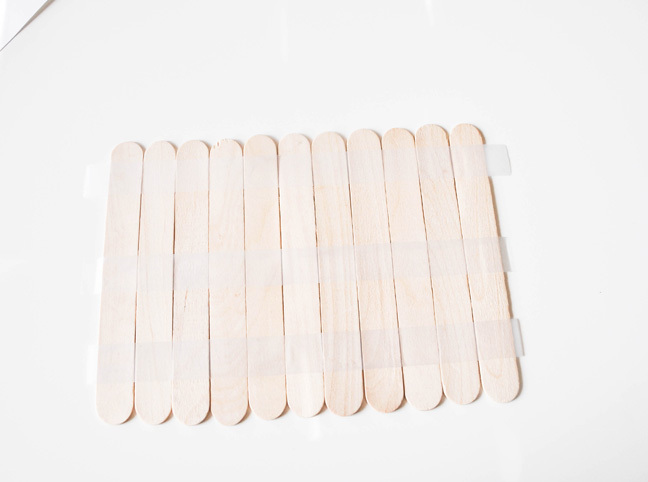 Step 2: Place the craft sticks in a row and tape on the top bottom and middle to hold in place. 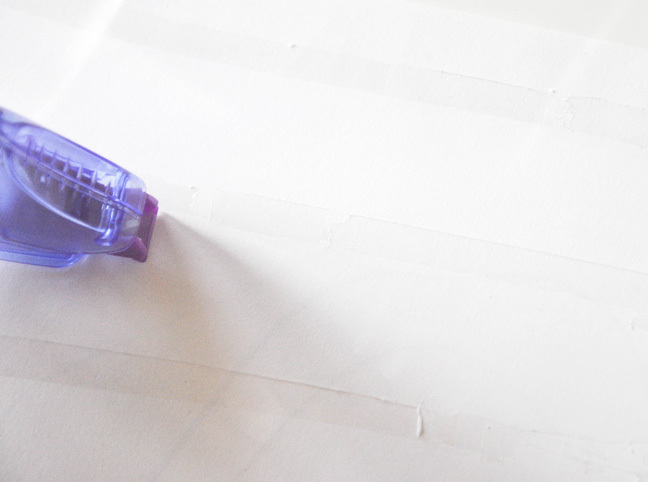 Step 3: Apply the glue tape to the back of the hand drawn picture. Make sure to have strips about every inch for enough coverage. 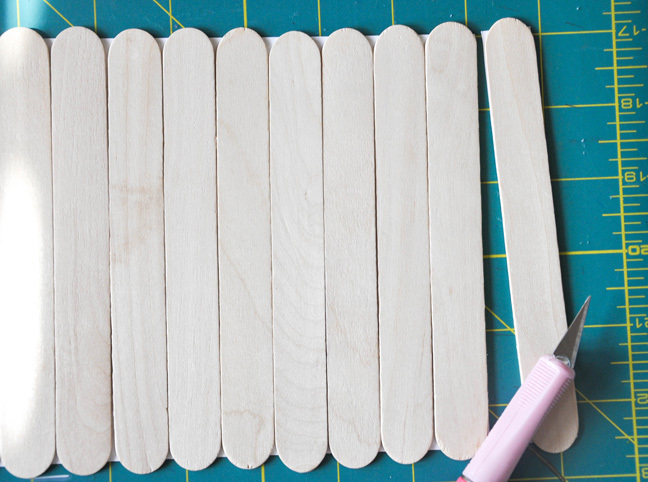 Step 4: Place the picture on the taped craft sticks and press firmly until it is adhered to the sticks. 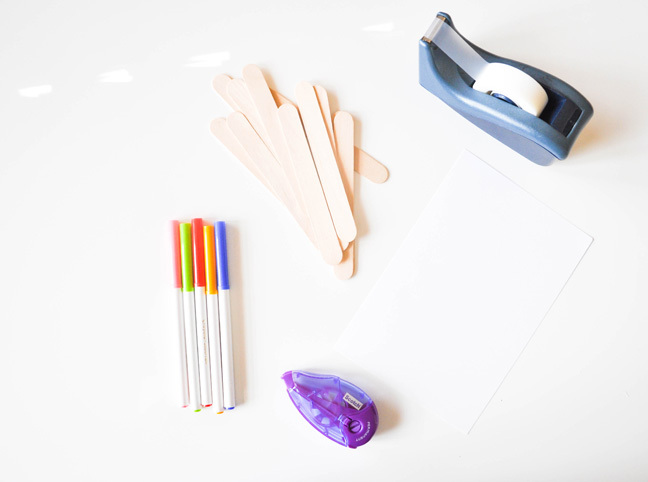 Step 5: Flip the card over and run the X-Acto knife between the sticks, making sure you are cutting through the card stock. You’re done! 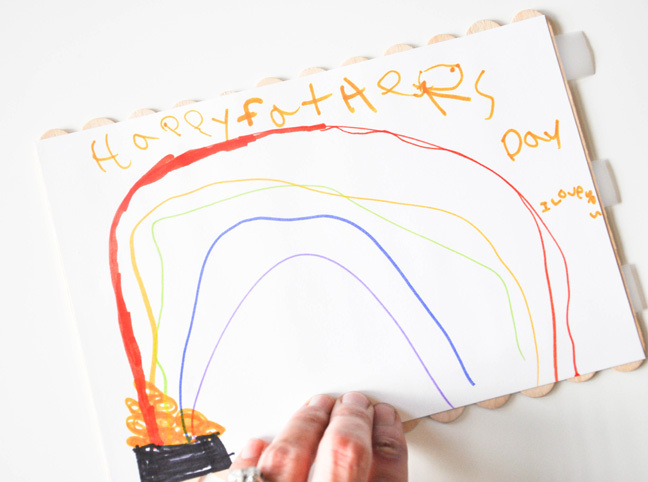 Go surprise Daddy with a sentimental card that he will never forget!